Have you ever noticed your dog leaning when they are taking a tight turn. (If not, just look at the above photo.) Interestingly, if they’re turning right, they lean on their right side. If they are turning left, they lean on their left side. This isn’t just true for your dog, if you’ve ever seen a person turn on a motorcycle, they lean so much it’s hard to understand how they don’t fall. Runners do it too. Sprinters in the 200 meter are taught to “lean in” to the turn as they come around the track. So why does this happen and how important is it to the conditioning of your dog? The reason for the leaning, oddly, is so the object turning doesn’t fall over. 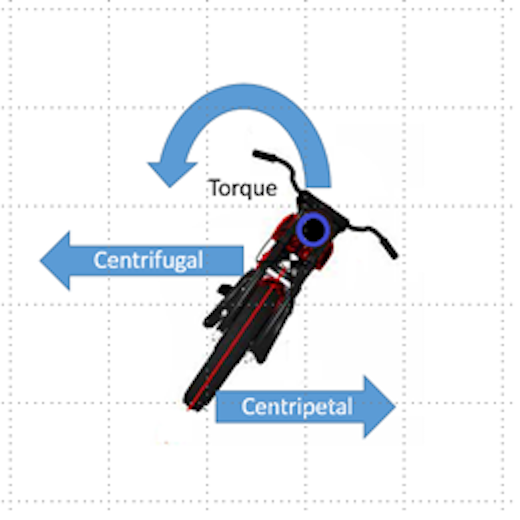 Simply put, the turning in one direction creates “pull” or Centrifugal Force in the opposite direction of the turn. In order to counter balance this “pull” in the opposite direction of your turn, you have to lean away from it, or, toward the direction you are turning. 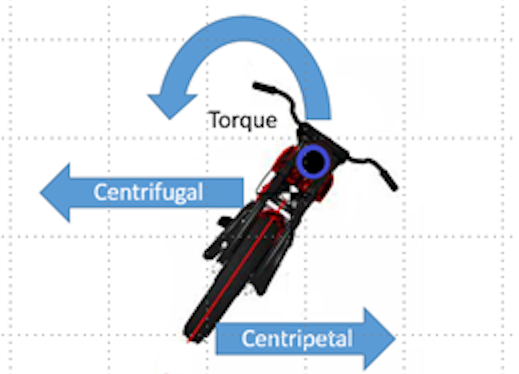 The tighter/faster the turn or Centripetal Force, the more “pull” in the opposite direction of the turn, and therefore, the more lean that is necessary to stay balanced and up right. Said another way, the faster/tighter you want to turn, the more you have to lean. Placing a FitPAWS wobble board (pivot ball removed) on a halfball allows for enough tilt to create some very interesting and effective same side loading (ipsilateral). In order to counter balance, Rue shifts as much weight as she can to her left side and push the wobble board down in order to level it off. Why is this important for the canine athlete? 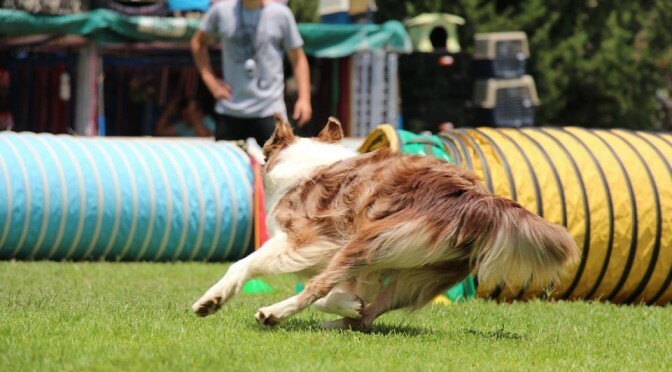 If tighter faster turns require more lean, then your dog will need more body awareness, balance and coordination in order to gauge how much lean is necessary to oppose the pulling force. Poor awareness will lead to too much lean and your dog will lose its balance or, more often, too little lean will result in slower turns. Additionally, and most importantly, unlike a motorcycle, leaning for dogs require the strength to do so. Don’t want to permanently destroy your wobble board. A piece of dogwalk or other plank suspended across two halfballs will also allow for weight shifts and same side loading. Using a treat to lure your dog “out and around” will increase the amount of weight shift. 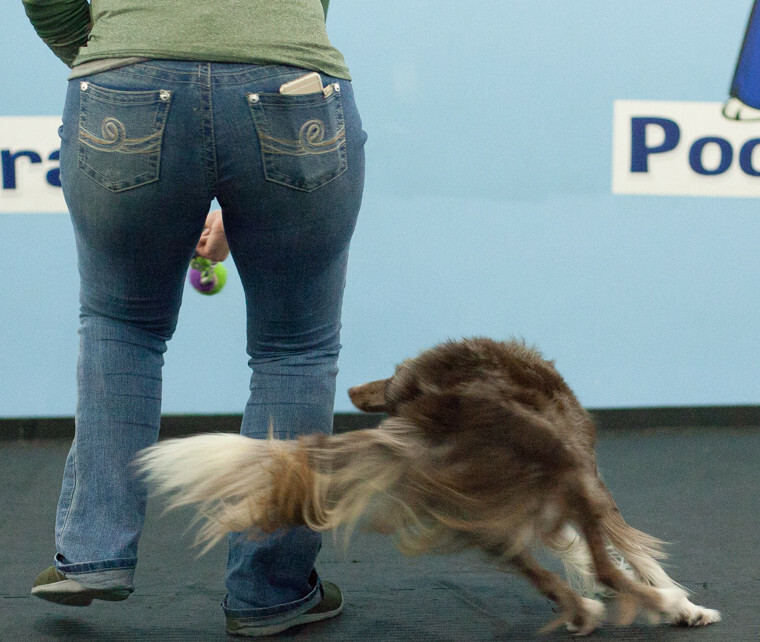 Poor body awareness and balance will inhibit your dog’s desire and capability to lean, but weakness will render a dog unable to withstand the load placed on the side of the body your dog is leaning on. Even worse, there is usually an inconsistency of strength between sides. Meaning your dog will turn tighter in one direction than the other simply because they are stronger on one side of their body than the other. Doing “keep away” circles is also a great way to condition both same side loading in conjunction with leaning. She’s both loading the inside limbs and leaning at about 40 degrees. This is important because just loading one side of the body isn’t the same as loading one side of the body while leaning. 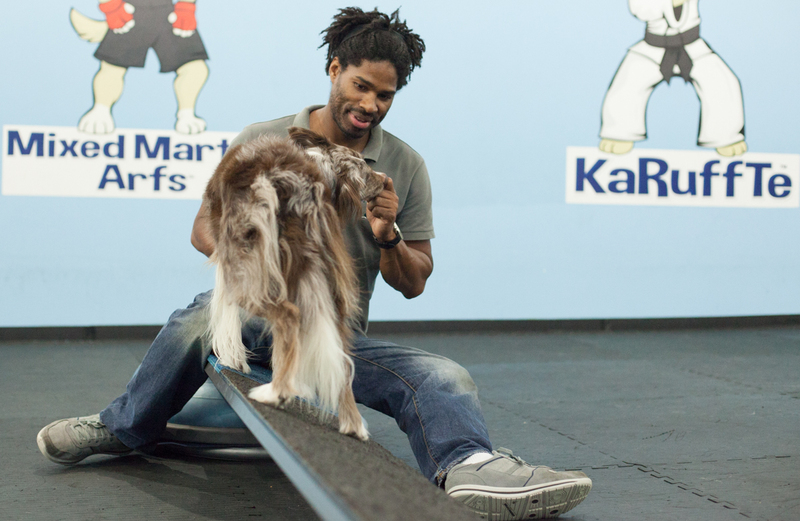 However, despite your dog’s ability to do lean naturally, we can make them better at it through conditioning. Although general conditioning practices will help improve limb strength, balance and body awareness, you need to do specific exercises that load one side of the body (ipsilateral), and they need to be performed at multiple angles as well, like the ones that have been shown here. You might have heard of the SAID principle, Specific Adaptation to Imposed Demands. To build a strong, injury free foundation, your dog should perform conditioning exercises from a square, balanced, uniform base. However, this will yield minimal results for improving your dog’s ability to turn. If you don’t stress your dog’s body, in a similar fashion to what it takes for them to turn, their nervous system won’t adapt to doing it. It’s simply not how things work. And this is, in part, a significant reason why many people don’t achieve their conditioning goals. When I trained human athletes the saying was, “If you don’t train it in the gym, you won’t see it on the field”. 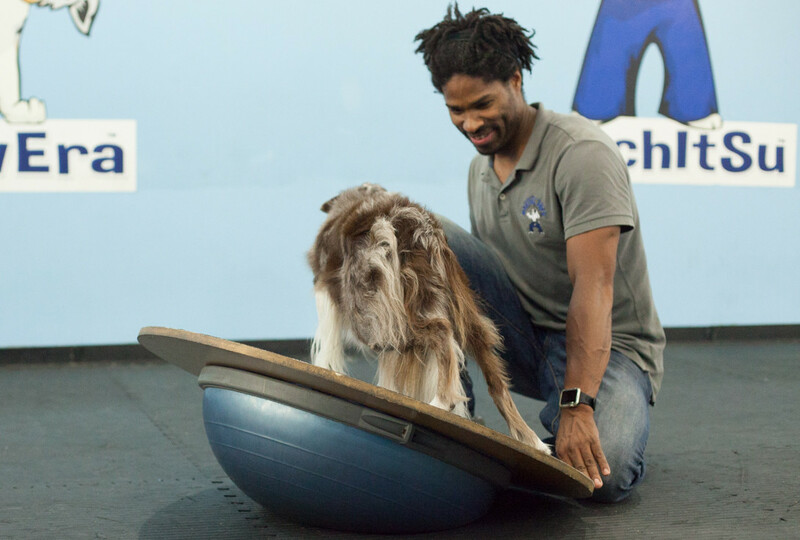 So if you want to see your dog turn tighter and faster you have to give them the strength, balance, and body awareness to do so with specific exercises that can make that happen. Keep in mind, canine conditioning exercises -and full extension exercises in particular- create the risk of injury during execution. It is best to seek instruction from a veterinary or canine conditioning professional before starting a conditioning program with your dog. Enjoy this article? Then don’t forget to sign up in order to be notified as to when our next blog post is out. My dogs really need this. I am curious as to why the wobble board would be trashed using it like you do with the Bosu ball? Much more convenient to do the lean exercises like this than dragging a plank into the house using 2 Bosu balls!! Because you have to remove the ball from the bottom of the board. After I did it, I realized it wasn’t something that I could just take off and put back on easily or as needed. 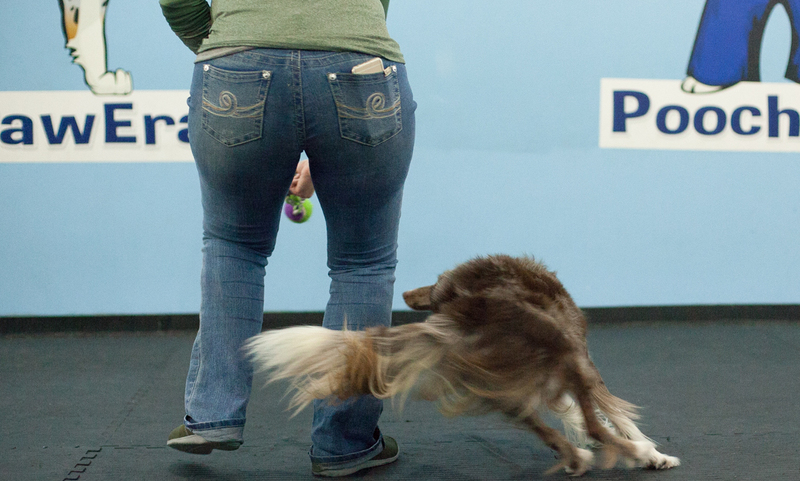 Can you, please, add more details on the exercises to condition the dog for stronger more aware body in tight turns. Mine will do really tight turns, but sometimes her feet will slip from under her. I believe exercises like these would be very helpful. Hi! What you’re describing could be a couple of things. First is the surface. If she cant get enough traction on the surface then her feet will slips. If it’s not the surface then it sounds like she’s leaning too far to the side she’s turning. If she’s leaning too far there could be a few things going on, but a body awareness issue is probably the cause. She simply leans as far as she can to turn as fast as she can and sometimes it’s just too much. 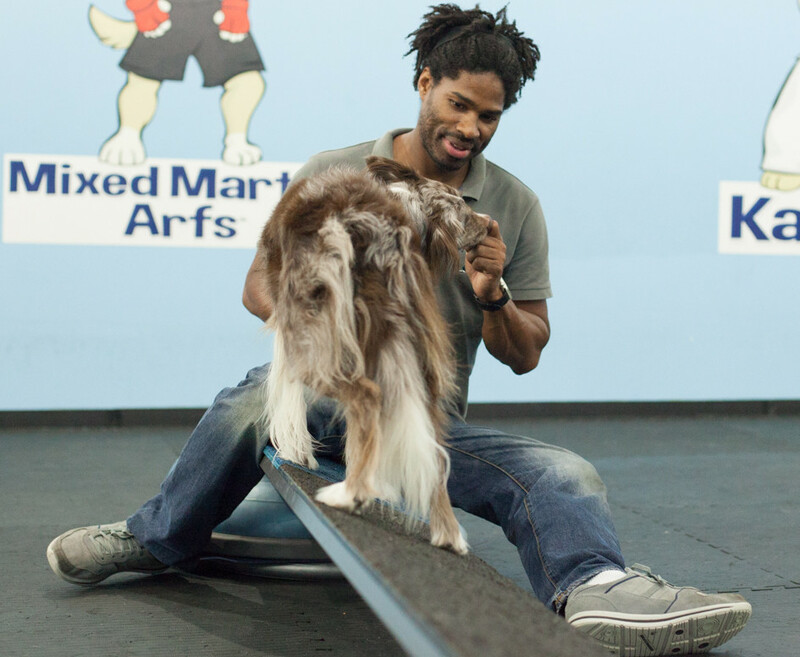 The Fitpaws wobble board exercise is probably a good one for you to practice. I will shoot a more detailed video explanation in the future. Most of our videos go up on Facebook first so be sure to follow us on Facebook. Thanks. I will look for your face book page.